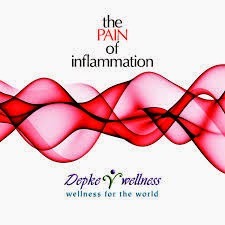 Congratulations to everyone for reaching the conclusion of the 2014 "The PAIN of Inflammation" program! You've enjoyed the benefit of reducing inflammation, reducing pain, supporting immune function, reconnecting the gut/brain connection, anti-parasitic, fungal and yeast protocols, gut restorative and last but not least liver detoxification. That's more than a mouthful! This is bittersweet because you have been such an awesome group and I have truly enjoyed interacting with all of you. Thank you for that! With that said though, this is truly not the end but only the beginning. If you remember way back before you even signed up for the program, we discussed the 6 weeks as a long enough period for most to create new, healthier habits that you can move forward into the rest of your life. As you are continuing these new habits, I will continue to monitor the completion blog to assist you on this level. So please, do not be afraid to reach out for direction.